Petzl TACTIKKA Plus RGB Headtorch - Black is rated 5/5 based on 15 customer reviews. This is a good head torch, it has nice light levels for close or distance work and has a lovely wide angle. 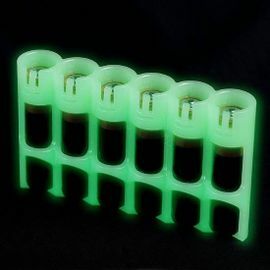 The 4 light colours are useful for retaining your night vision or reading a map in the dark. The elastic head band with its clip would fit almost any helmet/cap/woolly hat. Very happy with this item, it is rapidly becoming indispensable. I am mainly using the red light (for night vision while preserving dark adaption). The green and blue settings seem a bit of a gimmick to me, but perhaps some folk have a genuine need of those options. I particularly like that it switches on in the setting it was in when last switched off. I have not awarded the headtorch 5-stars because I find the switch operation a bit vague, especially when wearing gloves. Great quality headtorch with tons of settings. Its brightest setting is a real shocker. It is all you could need in a headtorch. I bought this to replace my old Tikka XP that has served me well around the world for ten years (still working but with a crack in the housing after being hit by a falling rock) and I am very pleased with this model. The functions are good and easy to switch between and the strap is sufficiently robust. Cant yet comment on battery life as I have yet to use it on an extended trip but I havent been let down by a Petzl torch yet. 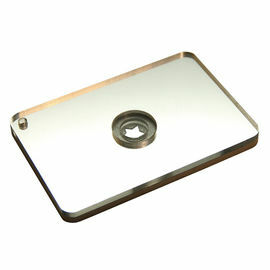 Service faultless from Woodlore. Very comfortable and very effective. It has several states (brightness and colour) that are selected by some combination of pressing, double-pressing or holding the one button on the device, so make sure to keep the instructions leaflet for a while because you're likely to forget. But it's not overly-complicated. No complaints. In terms of features and brightness I cannot fault this torch. However, having dropped it a couple of times I just can't see it lasting a long time. I just don't think the quality of this torch is good enough. I would even go as far as to say the older Petzl head torches were more sturdy (saying that I did find over time the plastic would go brittle and break). I bought this one after having a failure with an Alpkit headtorch (again, plastic). I have since bought a Fenix HL50. Whilst this does not have the bells and whistles of the Petzl it is made of aluminium and meets my needs. It would be nice to see Woodlore offering a few more brand alternatives. Solid piece of kit for the price. The different brightnesses are handy to conserve battery. Fully anticipate this unit to deserve more stars once it has been dropped, slept in, worn for 12 hours, rained on etc. A pleasing combination of lighting W, R, G and B. The option of white light brightness levels are particularly useful. The Red flashing option seems to be a very good idea in an emergency situation, Red having one of the longest wave lengths in the visible colour spectrum. The head band thus far seems comfortable and no doubt will be more so when worn over a hat. 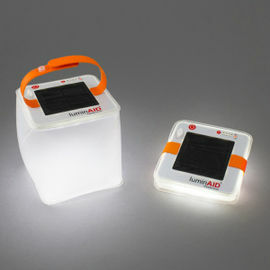 Based on limited use so far, however have also found it an ideal unit when walking at night time with dogs. Allows the wearer to be seen by cars and other dogs and people to be easily seen by the wearer. Provides an easy way of clearing ones own dogs mess and avoiding the ones left behind by less responsible owners. This was recommended to me and I would recommend to others. It's the best of a number I have researched and tried in stores. 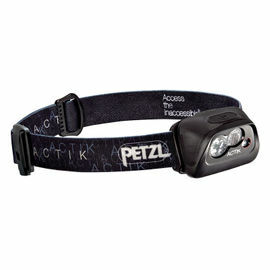 Another great bit of kit at a good price from Ray's shop, I use my Petzl Headtorch when night fishing at sea. Excellent head torch and much better value than the camouflage version.